Preserve The Tradition design is on back of T-shirt. 100% cotton red T-shirt. 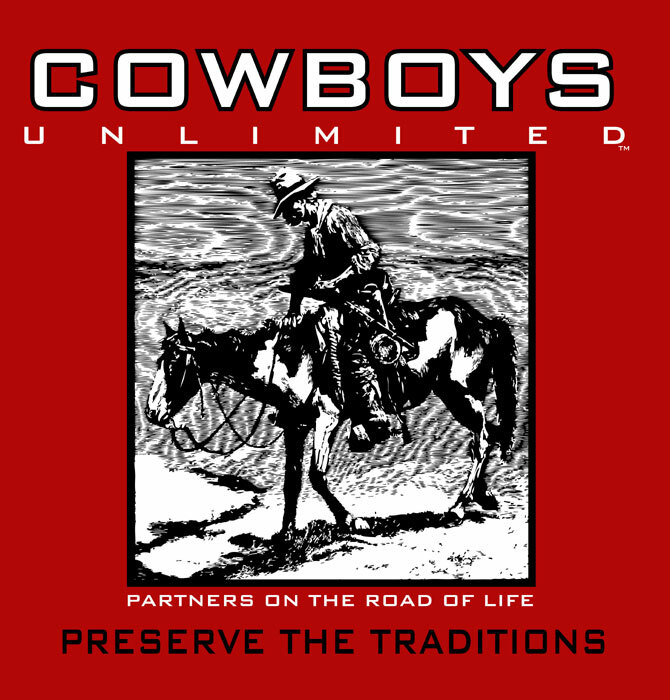 Cowboys Unlimited T-shirt: "Partners on the road of life. Preserve the traditions."